Game, whether pheasant, partridge, venison or rabbit, is a great versatile meat. It is a healthy alternative to many other red meats, tastes wonderful and is easy to cook. 1. Game is wild, natural and free-range. Your butcher should be able to tell you the provenance, so don’t be afraid to ask which estate it has come from. It could be very local to your area. 2. 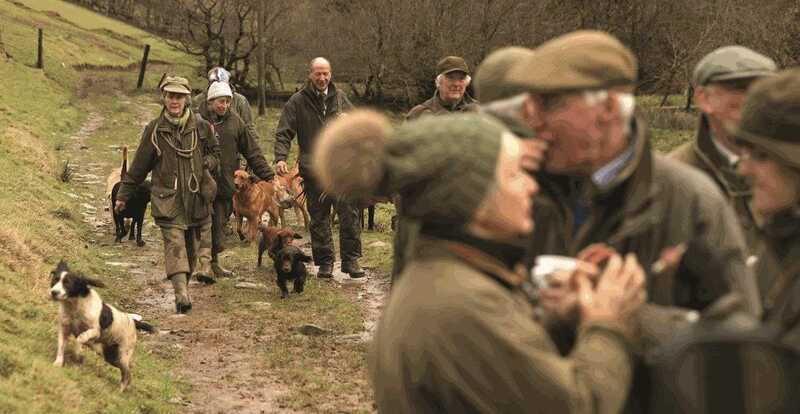 Game is available from many butchers in a variety of cuts during the season. 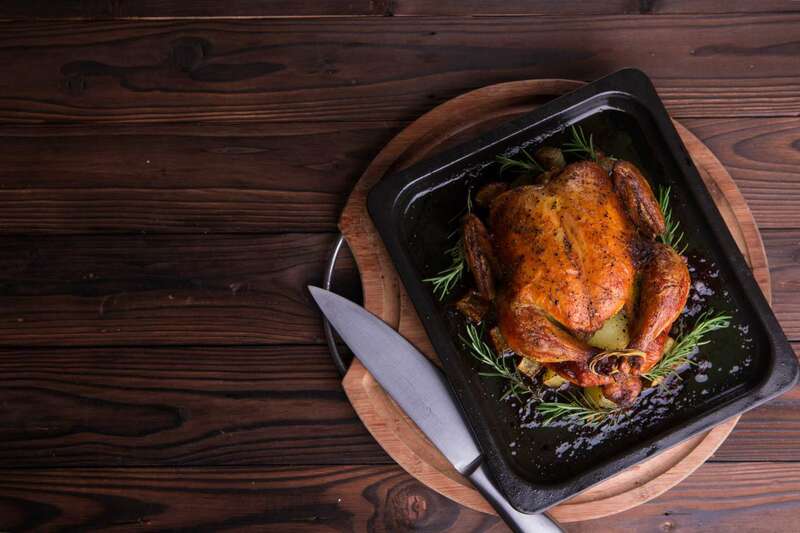 From oven-ready whole partridges and pheasant, to portions such as pheasant breasts, venison fillets, diced venison and even sausages! So you are sure to find something to suit the family. 3. Game is easy to cook, in a number of ways. With a variety of cuts comes a variety of recipes, just visit our recipe page for a whole host of ideas. 4. Game meat is generally hung for less time now for a more delicate flavour. It is also incredibly versatile and makes a tasty change from other meats. Venison is a great substitute in most recipes for beef. Next time you make a casserole or pie try using diced venison. Similarly pheasant is a great alternative to chicken in most dishes as is rabbit. 5. Game is good for you. Venison is high in protein, low in saturated fatty acids and contains higher levels of iron than any other red meat. Pheasant and partridge contain a high level of iron, protein, vitamin B(6) and selenium, which helps to protect cells from damage caused by free radicals*. How can you tenderise game meat before cooking? For older meat or less tender cuts there are ways to help make it more tender: acidic marinades such as lemon juice, wine or wine vinegar help to tenderise meat. The meat may be soaked in the marinade for several hours or days in the chiller. The use of a tenderising marinade is more effective on thinner cuts of meat. Raw fruits such as kiwifruit, pineapple and paw paw contain proteins which act on raw meat to tenderise it. Simply mash raw fruit and spread over the meat, or mixed with other marinade ingredients to coat the meat, some time before cooking. Just remember the tenderising effect only acts only on the surface, so a marinade works better on small, thin cuts of meat. Just a note of caution, don’t leave the marinade too long otherwise the surface can become ‘mushy’. Other ways to make meat slightly more tender is by mincing or chopping the meat before making into using in recipes such as burgers, lasagne. And batting out meat with a mallet can be used for individual portioned cuts, steaks or schnitzels, but not whole joints.﻿ Now you have learnt how to tenderise your meat have a go at one of our game recipes. What do people mean by 'gamey' flavour? 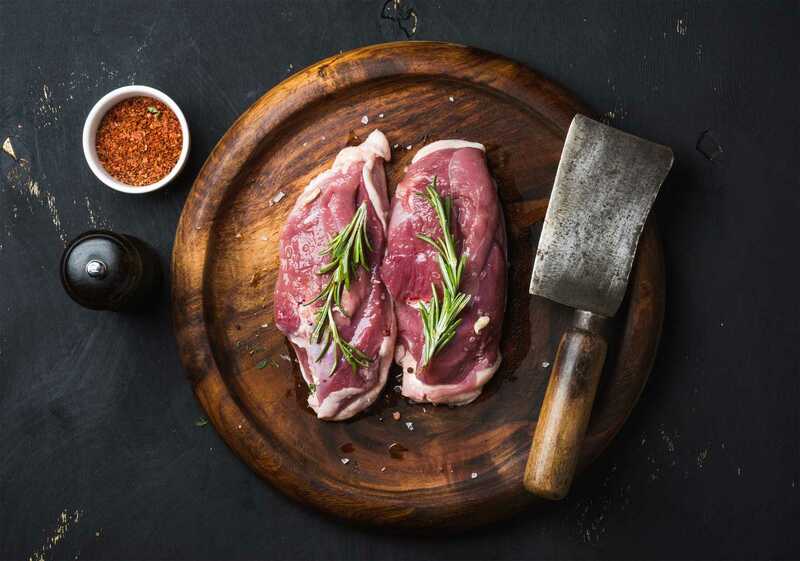 Wild British game meat have a common “gamey” flavour note which is achieved predominantly though the diet – a mixed, free range diet of natural grasses, insects, berries and grains will result in a much more developed flavour than a diet of just grass or grain. Therefore many of the wild foods are more strongly flavoured and “gamier”. Wild birds and animals also naturally exercise lots, which results in lean muscle and a denser textured meat which is a common characteristic of game. Before the game reaches the shop it will have gone through a couple of processes to help bring out the flavour. The first is hanging which helps to tenderise the meat and allows the flavour to develop. The shorter the hanging time the milder the flavour. Unlike our ancestors we don’t like strongly flavored meat so it is usually hung for days rather than weeks, ranging from about 2 days for rabbit up to 12 days for venison. The exceptions are pigeon and wild duck which do not require hanging. Fresh wild game can only be bought in season but it can be bought frozen at any time. Don't avoid frozen game - stocking up your freezer with game during the season is a wonderful way of enjoying game out of season. It can be frozen for up to 9 months if wrapped very well in a freezer bag - try to extract as much air as possible. Always defrost game slowly at room temperature or in a fridge.﻿ You can read more tips here. What is fur game and feathered game? Ground game is known as furred game and it brings a great deal to the food table. To begin with there is venison which you can produce beautiful joints, as well as sausages, burgers and great steaks. Then there is rabbit and hare which produces a number of wonderful meals but are a bit more restricted on the recipe front. Finally there is the squirrel, seen by most as a fun and experimental dish, however still just as tasty. Feathered game is the simplified name for all game birds. They come in various shapes and sizes and all bring to the table completely different and new tastes. Through the use of recipes we provide, feathered game can produced hundreds of courses, and can really compete against the monopolising giant that is chicken.